Do you want to automate your tweets? Or create a twitter follow bot that follows relevant tweeters and thus enhances your engagement on this social media platform? If yes, then this tutorial is for you as today, I will teach you how to create twitter bot using Node.Js Twit package. What is Node.JS Twit Package? In case you are not aware of what Node.Js packages are, then quickly getting through this phase, Node.Js packages are bunch of ready made, open source codes that anyone can use in their Node.Js projects by referencing to them. These packages are created by developers testing new things and who want to give back something to the world. The biggest advantage of these packages are that you don’t have to “Re-Invent The Wheel” by writing programs to do something. If any problem has already been resolved by any package, just refer to it in your program and that’s it. Similarly, talking about Node.Js Twit Package, it is an API based ready made code originally created by Tolga Tezel that eases the process of creating a twitter bot. Twit package is not the only way to create twitter bot. In fact, it’s not even necessary to use any package at all. However, since we are more interested in the end product rather than learning the intricacies of the node.js language, we will rather use the package and save our time. However, if you want to develop twitter bot from the scratch then I appreciate your grit,go ahead and do give it a try. But at the same time I would say that this wouldn’t be a wise choice if you are short on time. Before we start developing our bot, lets draw an outline of what it will be able to do. Respond with a thank you message when followed. Though you can do a lot more than that, but I believe that will cover the most of the important portion you need to know to create one functioning and responsive twitter bot.. If you see the first few codes of the Twit package (by following the link above), you may notice that it’s asking for the information such as consumer key, access token etc. This information is exclusive to every user and twitter uses it to identify the user and his account. I’ve written a separate article titled, Generate Twitter API Consumer Key and Access Tokens discussing what Twitter API keys are and how you can generate them to use in this tutorial. Once, you have the consumer keys and the access tokens, we’ll start writing our code. We’ll start by installing the Twit package on our (Node.JS) server. This step does not affect the functionality but I’d suggest you to keep your API keys in separate file. This way, you can call that file in any other program you want. So you don’t need to store your keys again and again every time you write a new program. Just write the piece of code once and refer to it in your program. Again, this is also an optional step but you may prefer knowing if your server is running. So by writing just a one line code on your server.js file, we can easily implement this. Use the Twit package by “requiring” it and store it in a variable named, Twit. Refer to our API keys in the config.js file and store it in the config variable. Configure the twit package and store it in a new variable called, T. Configuration means that we are letting the Twit package know what our API keys are. Remember, we need our API keys so that the Twitter’s server is able to identify us. In order to search for any tweet that fulfills our search criteria, we can use Twti’s Get API. Note that this is different from the regular Node.JS Get and Post Methods that I discussed in one of my previous articles. Twit’s GET API accepts following 3 arguments. Param: Short for “Parameters”, this is an optional argument. In the context of searching the tweets, you can define say, the criteria to search and/or how many search result to display etc. Callback: This argument, often a function, tells what to do when the (GET) API is executed. The Callback functions takes 3 arguments. The code to search for tweet(s) using the GET API goes like this. Once we’ve seen what parameters Twit’s GET API accepts, it becomes easier for us to implement other APIs. Like the Twit’s POST API. 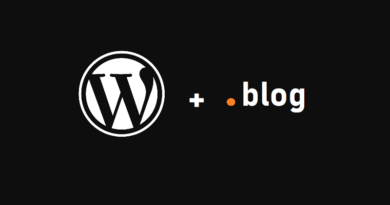 The POST API can be used to post tweets on twitter. However, you need to be careful when using bots to tweet as Twitter has set out some guidelines to post on Twitter. (Repeated) violations of any of these rules may result in (severe situations) in the blockage of your account. One such example is posting the exact same status consecutively. Your twitter bot will show an error if you do this as Twitter will simply refuse to post such status. Again, just like GET, the POST API also accepts 3 arguments. I believe I don’t need to go in further details of what these arguments are as they are the exact same as in the GET API. You may have realized that we can also store tweets in our database, access our database from Node.js and then post from there. However, for this article, creating database and then posting articles from there is out of our scope for now. We searched for the tweets (GET) and then posted Tweets on our Twitter account (POST). Now, let’s become more responsive. How about we thank our followers every time they follow us? This would be a nice gesture as our followers will not feel that we are taking them for granted. At the same time, we need to make sure that our responding tweets should be unique so as to make sure that our automated tweets don’t get rejected by the Twitter. Remember the rule that you cannot post same status updates or tweets consecutively? So we’d need to get our followers’ names and then add that with our tweet so that every responding tweet is unique. 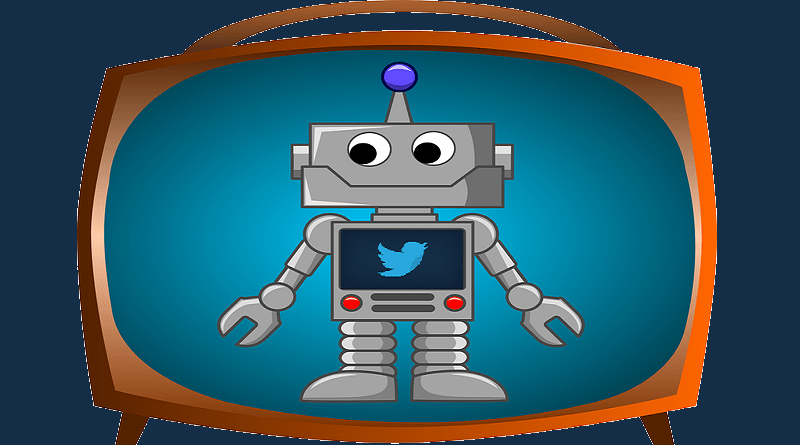 To add some “responsiveness” in our twitter bot, we will use the Twit’s Stream API. The event binder, such as, on binds a triggering event with the endpoint. Similarly, there are tons of other Endpoints on which you can bind an event using the Twit’s Stream API such as Message, Delete, Tweet etc. Since we have now created a minimal but functioning Twitter bot, let us put it to test and see if it is really working. The command prompt will show a message, “The bot has started”. This is an indication that the bot is now running and will post responses to your followers. With any other ID, you can ask your friend or use your second ID (in case you have one) to follow your main twitter account. The main twitter account is the one for which you generated the API Keys and the tokens above. As soon as you will follow, the bot will post a response from your main account to the account which followed it and a confirmation message will also show up on the command prompt. So that’s how you can create a functioning Twitter bot for yourself. However, before concluding let me clarify few points that I think are worth noting. The purpose of this tutorial is just to give you guys a hang of how a basic twitter bot would work. Of course, this is not an ideal solution. Ultimately, you would need to create a database, store all your tweets and then post from there. Remember, we are talking about automation. You don’t need to change the line of code every time you want to post a new tweet. Make sure that you do read the documentation of Twit package from its Github page. There are so many features that you can add in your twitter bot. This article has just scratched the surface of the vast ocean. So, go ahead, read the Twit package’s documentation and get creative. Also make sure that you adhere to the Twitter’s guidelines before you create a bot and start posting. Failing to comply could result in a ban from Twitter. So be careful about that.